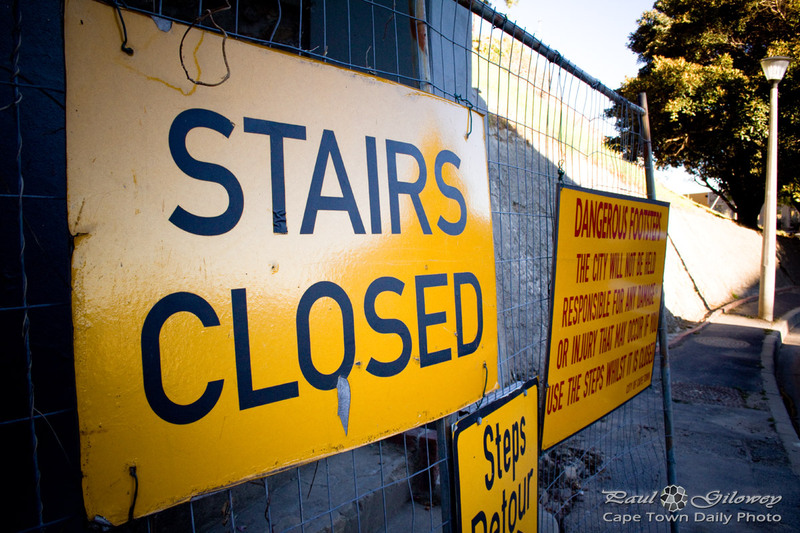 The stairs are closed – you can’t sue us! A nice big sign just in case someone missed the large fence placed in front of the stairs. Don't you just hate that society has become so opportunistic that we're forced to spend money on signs that state the obvious to indemnify us in case somebody does something silly and decides to sue us because we never warned them? Sure, there are many cases when signs are absolutely necessary - but often they're just a waste of money. Posted in General and tagged signs on Saturday, 3 March, 2012 by Paul. Signs like that appear over here, too. I blame lawyers and judges for encouraging citizens to go over the top.